"I really liked the Dr and his staff. Very friendly and they make you feel comfortable." "Very nice staff, super clean office. Doctor is very friendly and professional.."
"Dr. Parikh & staff care about their patients, giving them personal attention & respect." "You leave feeling like the doctor has a genuine interest in your well-being." "The staff here's amazing,easy to schedule appt's & most amazing thing-they're open Sat.!" "Dr. Parikh is very personable, friendly and warm." "Very caring doctor. His treatment plan is very thorough and explains things well." "Great doctor with great values"
"Great Caring Doctor!!! Great Office and Staff with Convenient Hours." "Quick service. No wait since it's a new clinic. They also give personalized attention." At Health One Family Medicine, a full-service primary care clinic in Irving, Texas, Dr. Shalin Parikh and Dr. Shopana Ganpath provide patient-centered care using the most advanced approaches to relieve symptoms and promote improved health, including treatment for hypertension (high blood pressure), diabetes, back pain, depression and anxiety disorders, as well as preventive services like annual checkups and physical exams, sports medicine and allergy testing. The practice is also a leading provider of urgent care for patients with acute issues like colds, flu, and other illnesses. 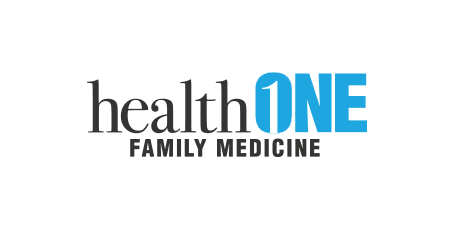 Health One Family Medicine proudly serves families from Irving, Coppell, Grapevine, Dallas, and DFW’s surrounding areas. Our bilingual staff is dedicated to providing top-notch medical care. New patients are always welcome and we accept most major medical insurance plans. If you have any questions about the type of insurances we accept, please call our office. Get better today by calling our office to schedule an appointment, or by conveniently use the book online feature. With the beginning of the year, be sure to stay on top of your health and get your Annual Physical! We also offer Women's Health preventive services. If you are having a life-threatening emergency, please call 911 or go to the closest ER. If you are having an urgent issue, please call our office to make an appointment. Please allow up to 48 hours for your prescription to be refilled. To refill your prescription, have your pharmacy send us an electronic request or call us during office hours. We are unable to refill prescriptions when our office is closed, as we cannot access your records. The many benefits of eating your greens and veggies. How do You Treat Flu with Antiviral Drugs? Learn about the antiviral drugs that prevent flu complications, or to reduce the duration and severity of the flu. How Can You Treat Flu Symptoms? Allergy Testing & Treatment Are you suffering from coughing, sneezing, itchy or watery eyes, rashes, hives or similar symptoms? You may have allergies and not even realize it. Make an appointment with us today for accurate and trustworthy results you can count on! At Health One Family Medicine, we value the health of every family member and want to make sure that our services are affordable for every patient. For that reason, we accept a wide variety of insurances. If you have any questions about the type of insurances we accept, please call our office. There will be a $25 charge for any missed appointments that are not cancelled 24 hours in advance. **Please Note: We are not accepting Molina, TRICARE, or Ambetter Insurance. "Very sweet and friendly staff. Doctor was on time and explained everything. So happy to be connected with them!" "Great doctor with great values. I wish good luck to the team to serve the neighbourhood. ...."
"In general, I had a great experience with Dr. Parikh. He was friendly, spends actual time with you, and is extremely polite and understanding." "They were able to add on my kids to their busy schedule and he saw them right away. I would strongly recommend Dr. Parikh as a primary care provider to anyone." "We had an amazing appt with Dr. Parikh! He is friendly, knowledgeable, and amazing with my kids! I will be referring many people to him." "The staff here is amazing, easy to schedule appointment and most amazing thing, they are open on Saturday too!" "I would highly recommend Dr. Parikh and his excellent associates for treating me not just efficiently, but also in a very holistic manner." "Easy appointment, very little wait time, Dr & his staff is super helpful & friendly. Dr Parikh personally follow up with the patient to make sure they are doing good." "My son had a high fever and cough. Dr. Parikh cared for my sick son very well and is good with kids." "Dr. Parikh got me in the same day & it was a fast, easy appointment. He was very honest and let me know what I needed to be doing in order to feel better. Great office." "I strongly recommend health one family medicine and Dr. Parikh if anyone is looking for family physician for individual or all family members." "Called this office and was given an appointment that same day. Went in and was seen by Dr Parikh in a timely manner and the staff were great as well. " "Dr Parikh genuinely cares for his patients, thorough, honest and makes you feel like a family. Partner for your well being, and seeks your feedback." "The staff, nurses & the doctor are all so friendly and really cared for us while we were there. So glad to get established with them! Oh, & they have Saturday hours..!" "They fit me into a 9am appt and I was done by 9:25 am. Very impressed! Dr was very nice and so was the staff. Thank you!" "It was very easy to make an appointment online. The staff was very friendly & my wait was not too long. Dr Parikh was very helpful & caring." "Dr. Parikh is very knowledgeable, respectful, approachable, and efficient. He has perfect bedside manner and seeks to go the extra step for follow ups..."
"I was 10 minutes early to fill up new patient forms and he saw me right on time. He answered all my questions." "Doctor is very patient and good listener. Very happy to make him our primary care physician."